Edgar Liberty Wood and Lawrence A. Olwell graduate from the University of Wisconsin Law School. Wood is likely a member of the UW Law School Whisker Club. Lawrence Olwell joins Quarles Spence Quarles (QSQ) in Milwaukee. The Quarles are Joseph and brother Charles. Joseph would become a U.S. Senator and federal judge; Charles is president of the board of the school directors of Milwaukee, as well as a highly-involved member of the Humane Society and the Yacht Club. Louis Quarles is Charles’ son. Edgar Wood sets up his practice in Milwaukee. His first job as a newly minted attorney is drawing up a will for a local jeweler. The fee is 50 cents. Edgar Wood is appointed by Mayor David S. Rose as a member of the Milwaukee City Service Commission. He is the youngest person appointed to this post at the time. Edgar Wood represents Von Sprecklesen against Chain Belt Company (Rexnord) which is represented by Quarles Spence Quarles. The Circuit Court gives the win to Wood’s client. Milwaukee has many justices of the peace but only 5 judges — one each for circuit, superior, county, district and municipal. In the 1900s, there is no income tax, FDA, labor relations board, worker’s compensation, railroad or public service commissions. Louis Quarles graduates with a degree in literature from the University of Michigan. He studies Greek, Latin, physics and chemistry. After graduation he works in the law office of his father and uncle, Quarles Spence Quarles, sitting for the Wisconsin bar in 1908. While working in his father’s office, Louis Quarles handles cases in Justice Court which does not require those appearing to be lawyers. Many of the early cases are between farmers and landlords over sharecropping agreements; the court limit is $200. Louis Quarles branches out as Lines, Spooner, Ellis & Quarles. 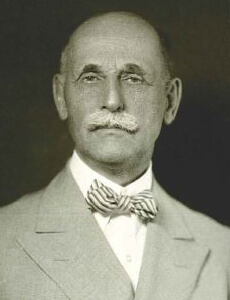 His brother, Charles B. Quarles, is part of the firm. In 1917 the firm becomes Lines, Spooner & Quarles. 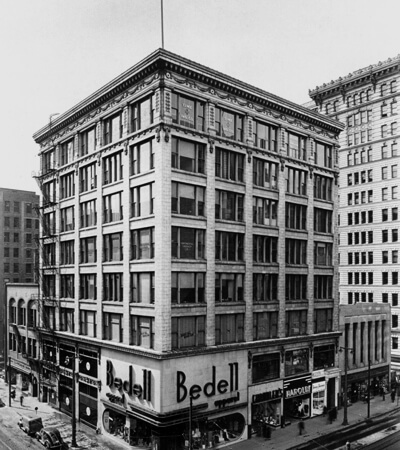 The office of Lines, Spooner, Ellis & Quarles is in the 710 Pabst Building, 110 E Wisconsin. The firm is counsel for Central Leather Co., Green Bay & Miss. Canal Co., Pabst Brewing Co., and Standard Accident Ins. 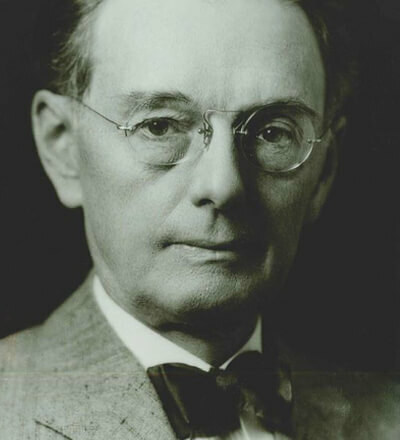 Co.
Edgar Wood is named General Counsel and a director of Chain Belt Company (Rexnord) in 1912 and remains so until 1957. Bernard V. Brady attends Marquette University Law School in Milwaukee and is admitted to the Wisconsin Bar. In 1917, he is drafted into WWI. 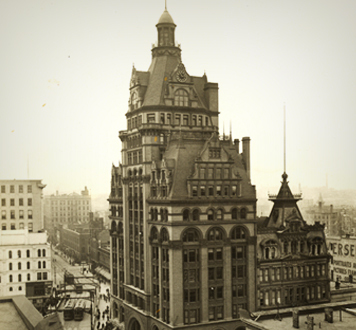 Lawrence Olwell, Paul Durant and Bernard Brady form Olwell, Durant & Brady and take up residence in the Railway Exchange Building at the corner of Broadway & Wisconsin, in Milwaukee. At Wood, Warner & Tyrrell, decorum is emphasized. Edgar Wood requires that vests and coats be worn at all times, even in summer. Saturdays from 8:30 a.m. to noon are “motion days” where motions are set and heard. Wood, Warner & Tyrrell is established. The firm operates out of the 404 Security Building at 209 Grand Avenue, in Milwaukee. 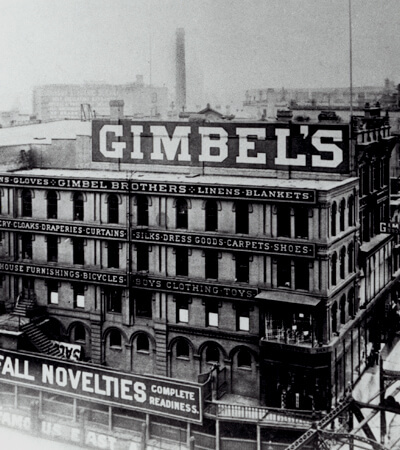 Lines, Spooner & Quarles successfully represent Gimbel Brothers, the well-known department store, in a slip and fall case before the Wisconsin Supreme Court. Louis Quarles secures a judgment of $600,000 for inventor Neils A. Christenson and Allis-Chalmers Co. in a patent infringement suit over an air brake design. The judgment halts litigation spanning 26 years. President Roosevelt’s policies spur new business. 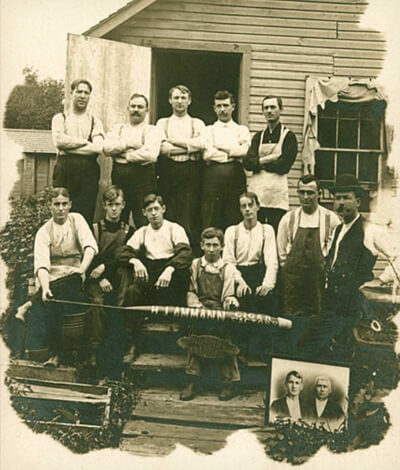 The emphasis on workers’ rights propels one of the first Milwaukee strikes at Sperry Candy Company, a client of Edgar Wood and famous for their Chicken Dinner candy bar. 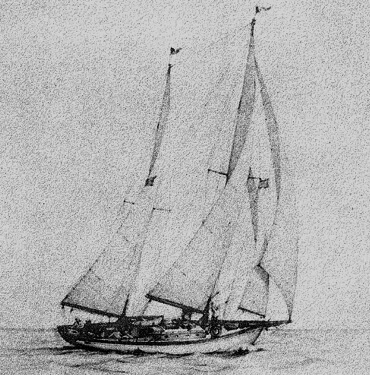 Wood’s firm helps to bring company and strike leaders together and settle the dispute. Bernard Brady is appointed to the Wisconsin Bar’s Board of Governors. Louis Quarles “cleans up” for a client after a six-year soap science patent infringement battle, obtaining a $5 million settlement for Colgate Palmolive Peet, manufacturer of Super Suds laundry soap. Lines, Spooner & Quarles file the Articles of Association for W.H. 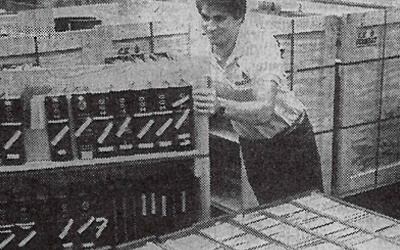 Brady Co., now a multimillion-dollar company. 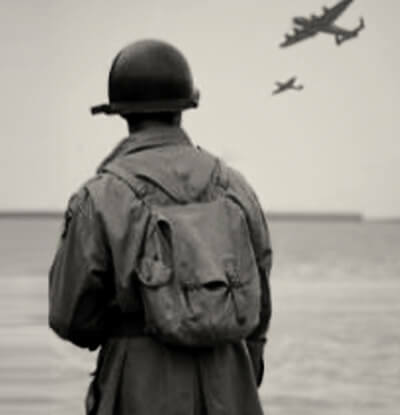 In an action reflective of wartime, Brady appears before the Wisconsin Assembly Judiciary Committee on behalf of Briggs & Stratton Corporation to support legislation offering tax incentives to Wisconsin companies building new plants for defense contracts. Wood, Warner & Tyrrell continues to forge strong partnerships. 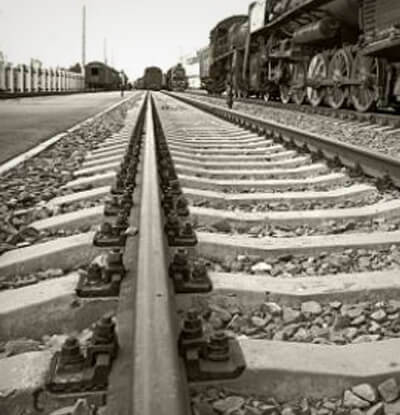 They serve as local counsel for respected companies including Pennsylvania Railroad Co.; Chicago Northshore & Milwaukee Railroad Co.; Great Atlantic & Pacific Tea Co.; and New York Life Insurance Co.
Louis Quarles of Lines, Spooner & Quarles and Bernard Brady of Olwell & Brady are co-counsel in a Wisconsin Supreme Court case involving a trust and estate issue. They win the case. It is their only appellate case together. 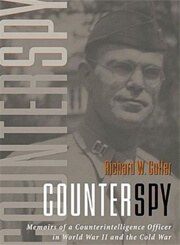 Richard Cutler (who joins Brady’s firm in 1954 and remains through 1987) serves in WWII as a combat intelligence officer. Shortly after the war he works to recruit former German spies to gather information on the Russians as the Cold War begins. Wood, Warner, Tyrrell & Bruce has no established hourly rates. Attorneys keep track of times and then decide the fee. 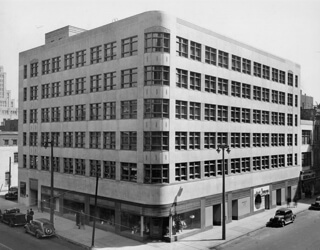 Quarles, Herriott & Clemons operate in the John Mariner building at 411 E. Mason, in Milwaukee. Wood, Brady, Tyrrell & Bruce are nearby at the Monroe Building at 756 N. Milwaukee. Quarles, Herriott & Clemons successfully represent General Electric Company’s X-Ray Department in a labor and employment appeal before the Wisconsin Supreme Court. 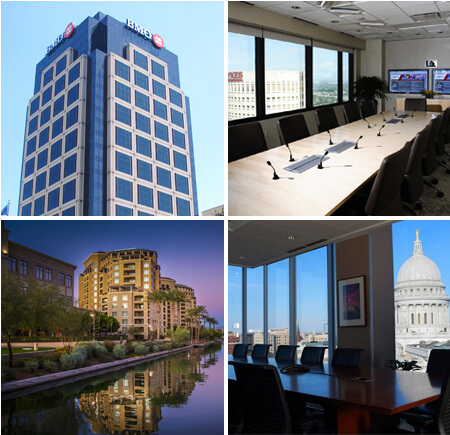 Quarles’ firm has the largest patent law section and municipal bond counsel group in Wisconsin. 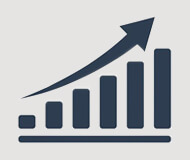 Brady’s firm is well recognized for its estate planners, statewide municipal law practice and general corporate work. 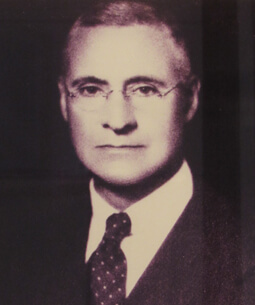 Louis Quarles is highly committed to the community and helps to establish the Medical College of Wisconsin (MCW) following the school’s separation from Marquette University (MU). Louis had been a director at the MU medical school since 1923. He continues in that role as it becomes MCW. Louis’ involvements also include serving as a trustee of Milwaukee-Downer College, trustee emeritus of Lawrence University and honorary director of Milwaukee Country Day School. Brady, Tyrrell and Bruce becomes Brady, Tyrrell, Cotter & Cutler. Charles Quarles, Louis’ brother, dies in 1968. He served as president of the Legal Aid Society of Wisconsin for many years and was a past president of the Wisconsin Service Association. During his time at the University of WI, he held the record (albeit briefly) in high hurdles. Louis Quarles dies at the age of 89, after a 64-year career in law. He served on 52 directorships during his career including Allen-Bradley (Rockwell), Northwestern Mutual Life, Miller Brewing Co., Milwaukee Road, Marshall & Ilsley Stock Corp., Oil Gear Co., and Kimberly-Clark Corp. 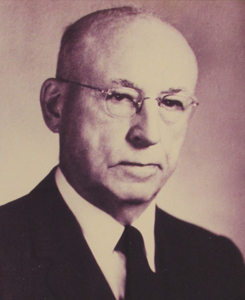 He was also a director of the Allen-Bradley Foundation and the Allis-Chalmers Foundation. 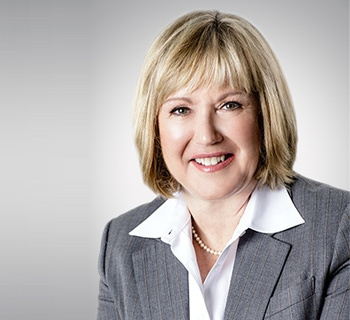 Anne Unverzagt is the first woman hired at Quarles, Herriott, Clemons, Teschner & Noelke. Quarles & Brady forms from the merger of Quarles, Herriott, Clemons, Teschner & Noelke (45 lawyers), and Brady, Tyrrell, Cotter & Cutler (25 lawyers). The merged firms, while “mixing up” the teams across the two offices, don’t share one space until 1979. John W. Daniels Jr., Harvard Law graduate, is the first attorney hired by the newly merged firm of Quarles & Brady. He is also the first African-American hired by the firm. 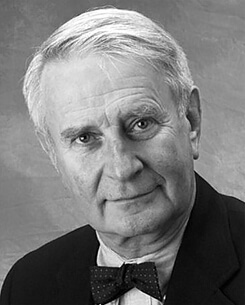 Bernard Brady dies at the age of 85, after practicing law for 53 years. 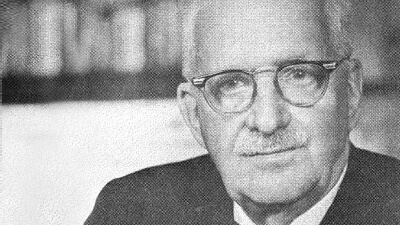 His directorships included those with Ladish Co., Briggs & Stratton Corp., Wehr Steel Co., and Lakeside Bridge & Steel Co. 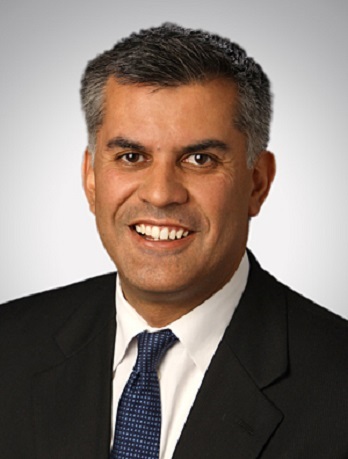 He also served as general counsel for Old Line Life Insurance Company of America. He was known as a man who loved the law, intellectual challenge, and order. Attorney Elwin Zarwell of Quarles & Brady argues a Clean Water Act case in the U.S. Supreme Court on behalf of the City of Milwaukee and wins. 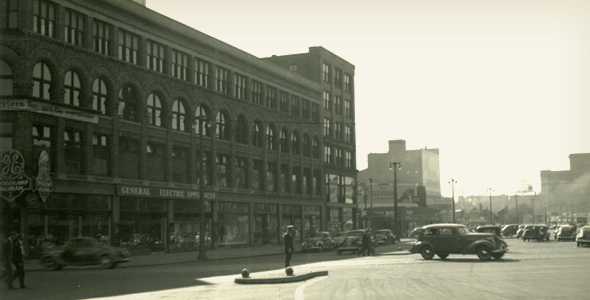 The Milwaukee office moves to its present space at 411 E. Wisconsin Ave. The move includes 2,500 shelves of law books, 9,000 cartons of paperwork and 100 trailer loads of furniture. The firm opens an office in Naples, FL. This is followed by the opening of offices in Madison, WI (1983) and Phoenix, AZ (1988). 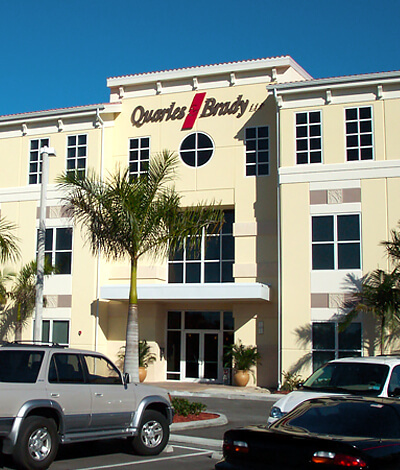 Quarles & Brady unveils its present-day logo. 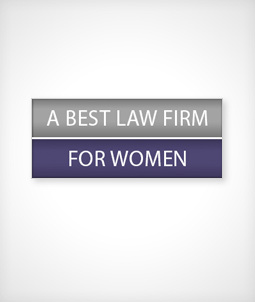 The logo and its colors get press as they are seen as novel for a law firm. Anthony Earl, former WI governor, joins the firm. Quarles & Brady now has 211 attorneys. Quarles & Brady attorney Walter White, Jr., a former WI securities commissioner, is appointed by the White House to head the new Asian-American Enterprise Fund in Kazakhstan in Central Asia. 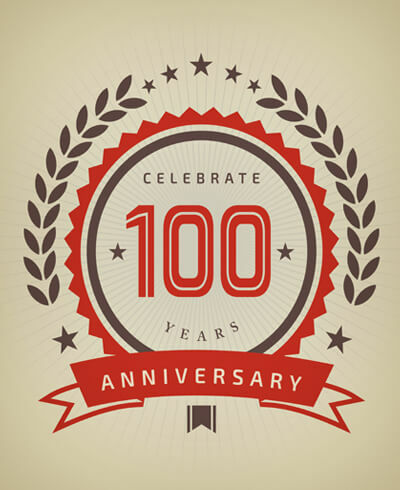 Quarles & Brady celebrates 100 years! 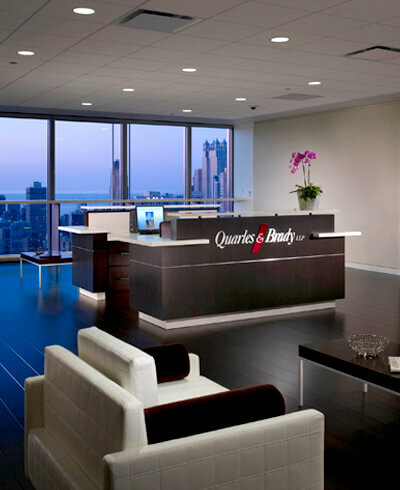 A Chicago office opens following a merger with the 27-attorney firm Wilson & McIllvaine. The firm merges with Streich Lang PC, adding 99 attorneys and a Tucson office to the Arizona offices, and bringing the firm to 150 attorneys in Arizona (Arizona’s second-largest law firm) and a total of 450 attorneys nationally. Quarles & Brady’s Diversity & Inclusion Committee forms. Fred Lautz becomes the firm’s first managing partner following the unexpected passing of firm chair Pat Ryan. Ryan, who once tried out for the Chicago White Sox, was known as a top corporate lawyer and a man deeply committed to community service. Quarles & Brady sits high on the Milwaukee skyline with its new sign. 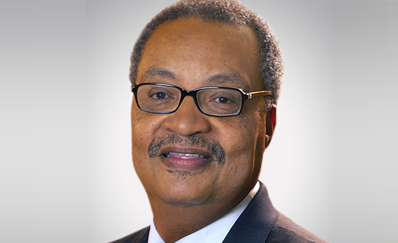 John W. Daniels, Jr., a renowned real estate and business attorney, becomes chair of Quarles & Brady, the first African-American to hold that position at the firm. 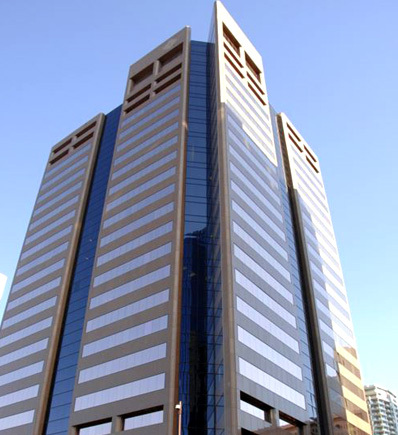 The firm opens an office in Tampa, FL. This is followed by the opening of offices in Washington, D.C. (2012), Indianapolis, IN (2014), and Scottsdale, AZ (2014). Kimberly Leach Johnson, a well-respected trusts and estates attorney, becomes chair of Quarles & Brady, the first woman to hold that position at the firm. Dedicated to community service, the firm logs over 23,100 pro bono hours. 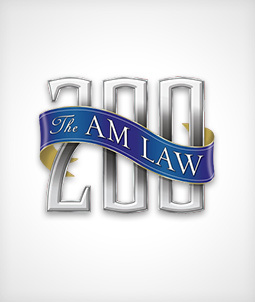 The firm has over 500 attorneys and 500 staff members. Daniel Radler accepts the gavel from Fred Lautz and becomes the firm’s second managing partner. Quarles & Brady is ranked #118 in the AmLaw200 2017, gaining 11 spots since the 2015 ranking. 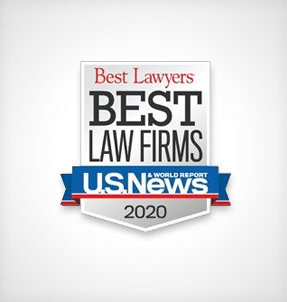 Quarles & Brady is named among the “50 Best Law Firms for Women” by the National Association for Female Executives and Flex-Time Lawyers in 2009, 2011, 2013, 2014, 2015 and 2016. 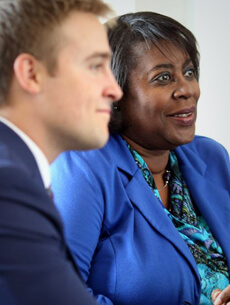 For seven consecutive years, Quarles & Brady receives Gold Standard Certification by the Women in Law Empowerment Forum because of the many women in leadership roles. 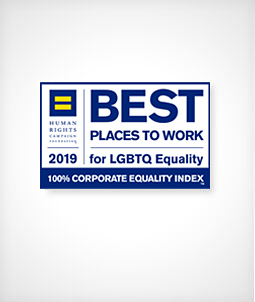 Quarles & Brady receives a perfect score of 100 percent on the 2017 Corporate Equality Index (CEI), a national benchmarking survey and report on corporate policies and practices related to LGBT workplace equality. Quarles & Brady receives 13 recognitions as a 2017 “Best Law Firm” by Best Lawyers and U.S. News Media Group in the National Tier 1 category; five additional acknowledgements for exceptional client service in labor law, labor and employment litigation, real estate litigation, real estate law, and trust and estates law.